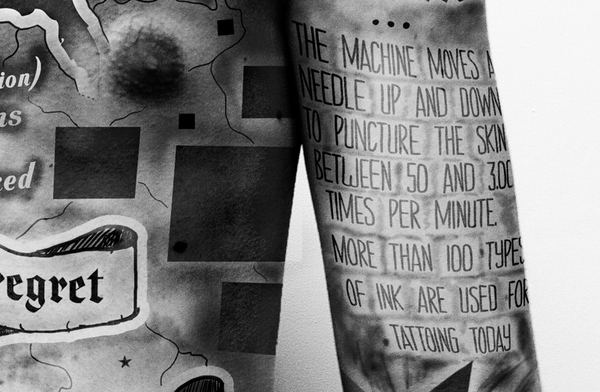 Your Body Is A Canvas (Some Tattoo Facts). One of the greatest things about design is that people are constantly coming up with new and creative ways to solve problems, display information or convey a message in a better way. 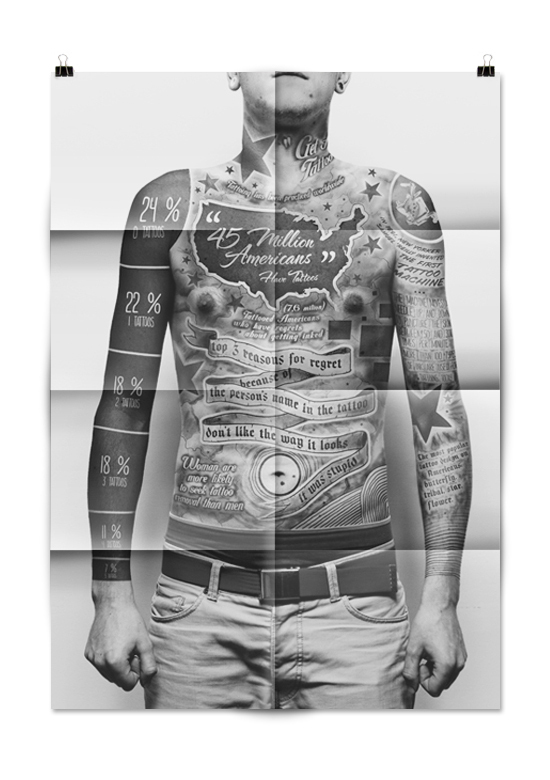 Paul Marcinkowski (AKA Kaplon) is the designer behind this tattoo infographic which he made for a class project at the Academy Of Fine Arts in Łódź, Poland. Readers know that I’m a fiend for good infographics, and while poorly made infographics have been called the ‘plague’ of the internet, it’s great to see an artist sink their teeth into the medium and create something truly original. 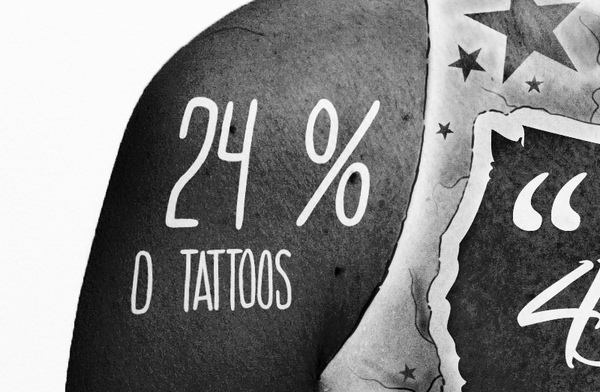 The infographic highlights different aspects of the tattoo process: where tattooing is practiced (worldwide), the percentage of people who have tattoos, interesting fun facts about the tattoo machine, most popular tattoo designs, and the top three reasons why people regret getting their tattoos. 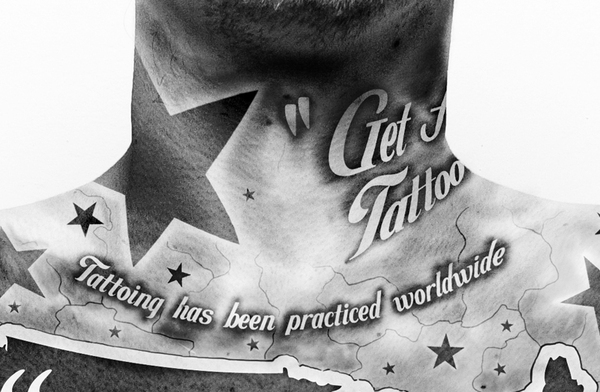 The artwork is brilliant and nails the style of tattoo art on the body while also integrating the tattoo style into infographic design.